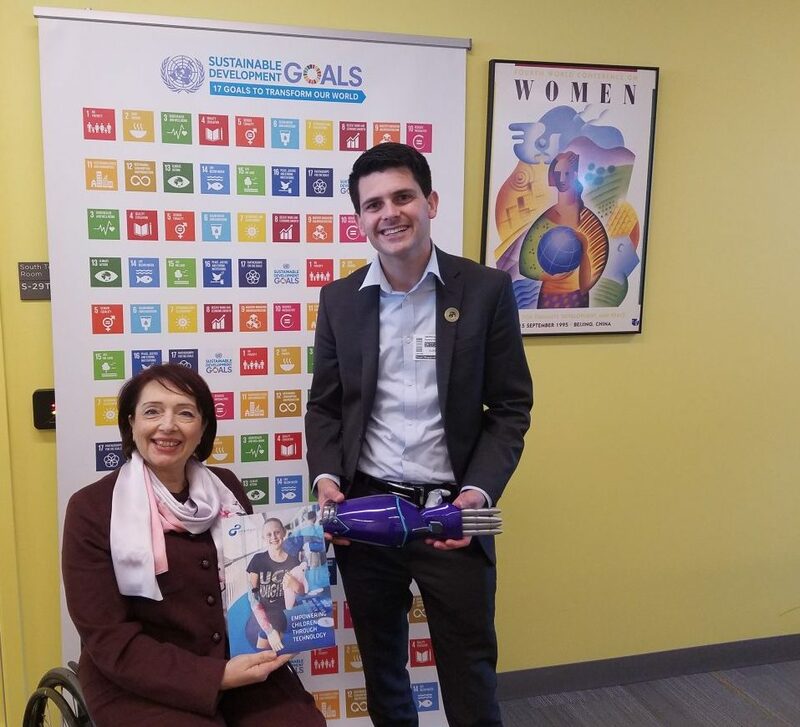 Albert Manero ’12 ’14MS ’16PhD of Limbitless Solutions will serve on a panel as part of International Day of Persons with Disabilities Monday. Albert Manero ’12 ’14MS ’16PhD is the president of Limitless Solutions, a nonprofit started at UCF that makes 3D-printed bionic arms for children. His scheduled co-panelists include: the director of Microsoft Cities, the founder of a New York-based nonprofit that explores, promotes, and presents radical new visions of the future through the integration of art and technology and a representative of the UN International Telecommunication Union (ITU). The panel will be moderated by IBM’s former chief of accessibility. They will discuss Smart Inclusion as part of the UN’s day-long activities. The UN’s Department of Economic and Social Affairs (UN DESA) organizes the event, which is co-sponsored by: The Office of the President of the United Nations General Assembly, Ecuador, Republic of Korea, Brazil, Bulgaria, Italy, Philippines, United Kingdom, Japan, Singapore, International Telecommunication Union, UN Women, and the UN Department of Management.